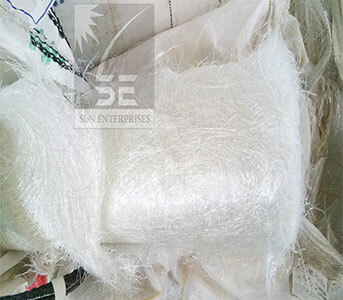 We offer our client an excellent quality range of Fiberglass Waste Roving, which are manufactured from high grade quality raw materials. This Fiberglass Waste Roving can be customized as per our precious customer’s specifications. 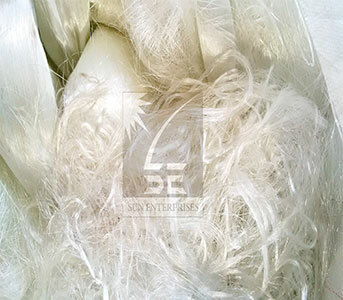 This Fiberglass Waste Roving is widely known for its durability and quality. 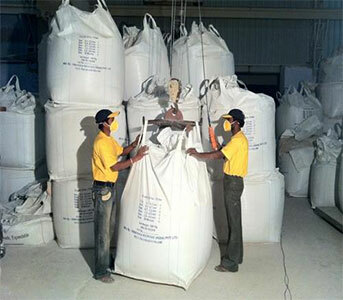 Our Fiberglass Waste Roving can be availed at industrial leading price. 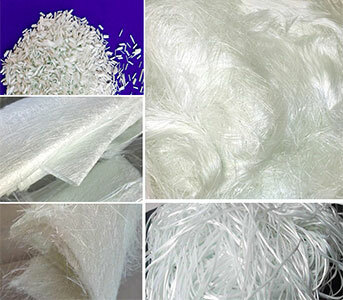 Mixed Roving Scrap shall consist of rolls or roll ends of Fiberglass Yarn or Roving. May include "Mixed Doff's" , Type-30, Unwound Chopped Strand Mat, Multi End Roving, Single End Roving, Small Cake. This type of roving waste is imported from Latin America. Mat (B-Grade) shall consist of Chopped Strand Fiberglass Mat sheets or rolls and the same are in unwound/loose condition that is scrap/waste material. Chopped Strand Mat is most frequently used with polyester resin to quickly build thickness for parts and between layers of fabric for building moulds. 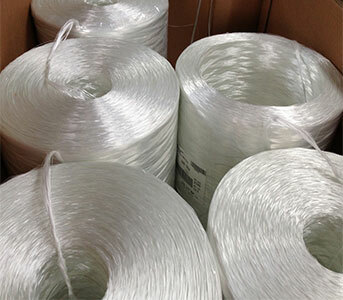 It can be used alone or in conjunction with fiberglass fabrics, or woven roving, in larger fabrications. Fabricators generally tear apart Chopped Strand Mat, rather than cut it. This maintains the length of fibers along the torn edge, which create stronger bonds with subsequent layers. Chopped Strand Mat contains a binder which holds strands together, but prevents proper bonding with any epoxy resins. PLEASE NOTE: It is only compatible with polyester or vinyl ester resins. For convenience, mat is also sold in 4-inch-wide tape form (#492). For 38-inch, typical full roll length is 80 yards. For 50-inch, typical full roll length is 87 yards. Type 30 Single-End Roving Single-End Roving is produced by pulling individual fibres directly from the bushing and winding them onto a roving package ready for shipment. The uniform distribution of a proprietary sizing system ensures excellent resin-to-glass bonding.